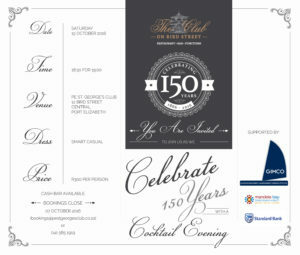 The PE St George’s Club invites you to join us at the most prestigious event of 2016! 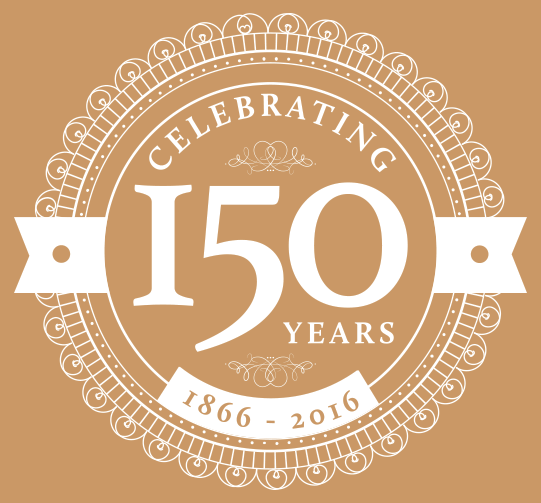 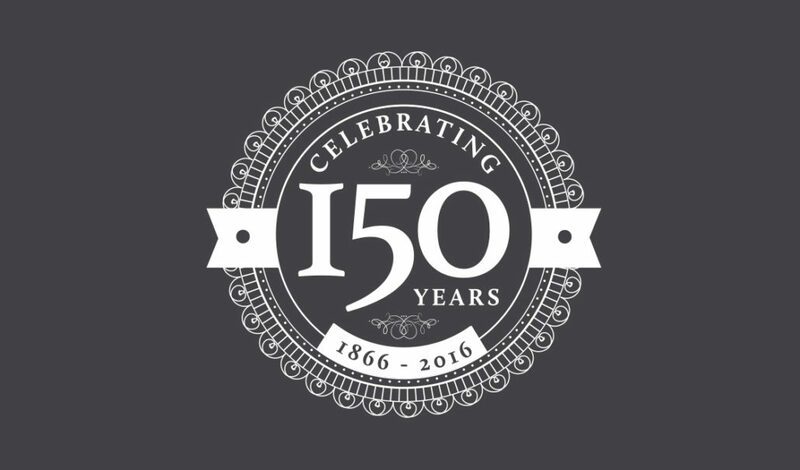 Celebrate The Club’s 150th anniversary with us at our Cocktail Evening on Saturday the 15th of October, 2016. 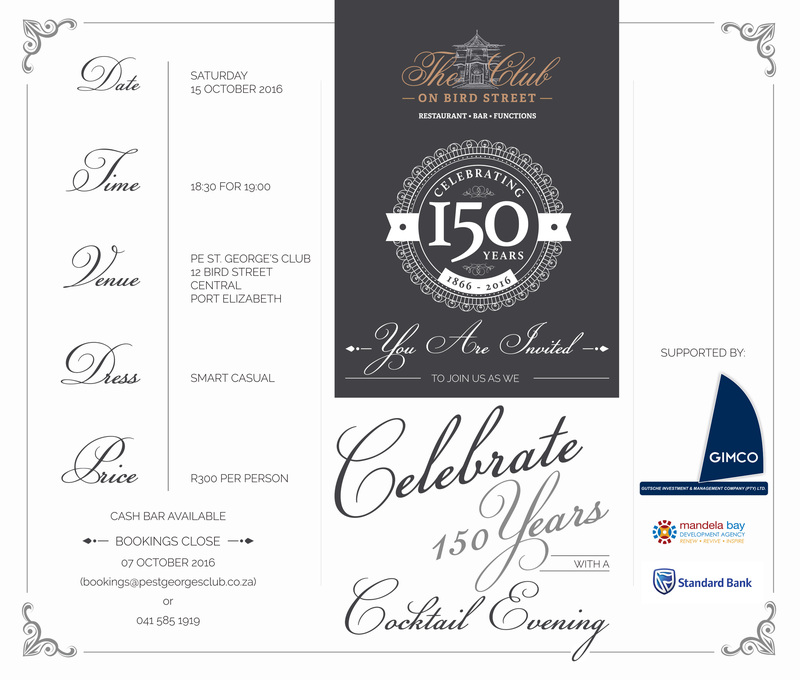 Bookings are essential and close on Friday the 7th of October, so please RSVP to bookings@pestgeorgesclub.co.za or call us on 041 585 1919 to book your tickets.